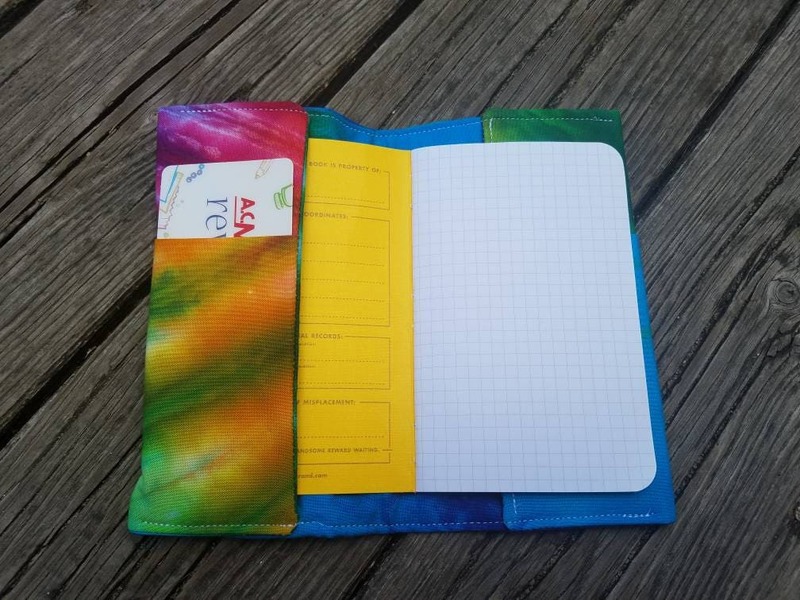 Hand dyed tie dye notebook cover. 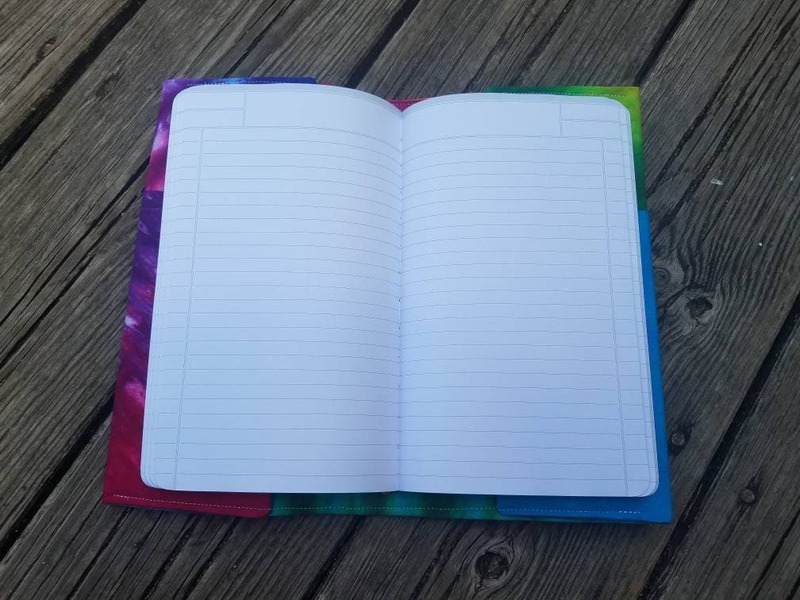 Small fits 3.5 in by 5.5 inch and medium fits 5in by 8.5 inch notebooks and planners. 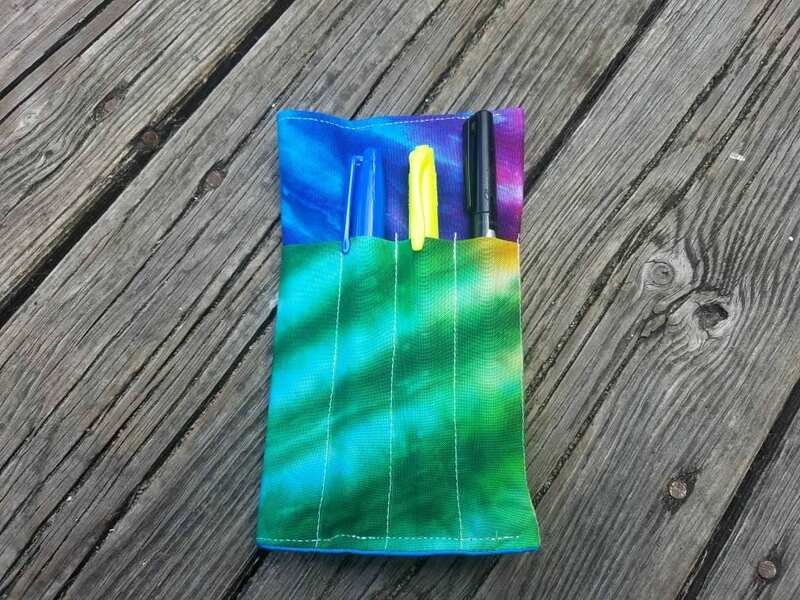 Three pen/pencil holders on the front cover so you always have a writing utensil handy. 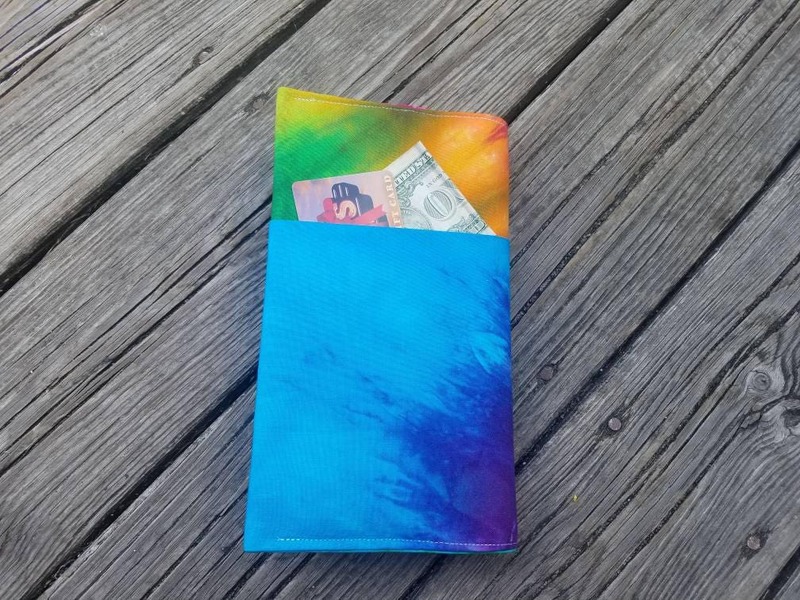 Pockets on both flaps and on the back cover hold receipts, business cards and other small papers. 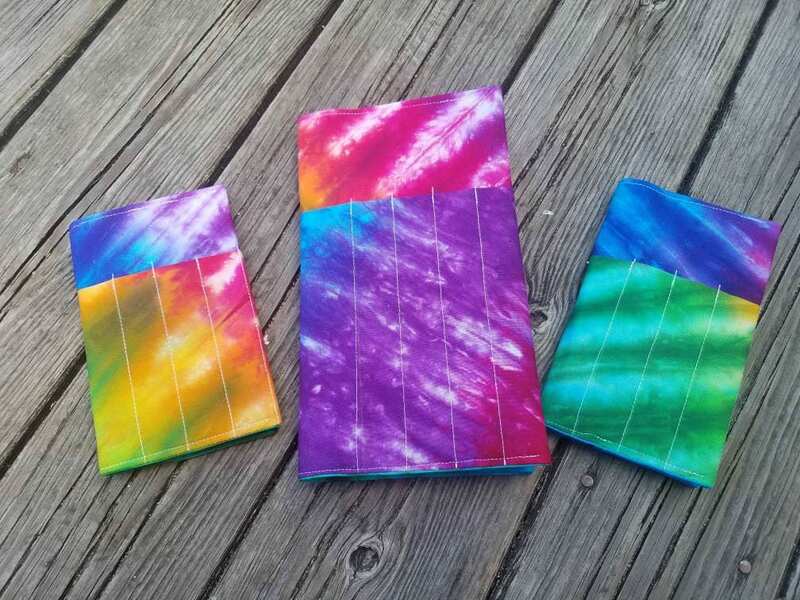 Fully lined and includes interfacing so the cover is sturdy and not flimsy. Can be machine washed and dried. 100% Cotton fabric. Small measures approximately 6.25in by 4 inches closed and 6.25 by 8 inches open. Medium measures approximately 5.5in by 9 inches closed and 11 by 9 inches open. Convo us for custom sizes and fabric choices. Notebook and pens not included. This listing is for one cover. Pictures are for comparison.